Kids love to bounce. It’s in them. Someone, somewhere took notice and now, trampoline parks are popping up all over the place. And that means that trampoline injuries are on the rise. While jumping the day away seems like innocent fun, parents should be aware of the risks involved and the safety precautions required, especially for toddlers. You think you are being safe, but injuries can happen even when a trampoline has a net and padding, and parents are watching. In fact, recent studies have shown that most trampoline injuries happen at home and children younger than six are at the greatest risk. With bones that are not yet fully developed, youngsters are not equipped for continuous bouncing and are more prone to injury. When Carrie heard Mae’s cry, she knew something was seriously wrong. A trip to the emergency room and a few x-rays later, it was determined that Mae had a buckle fracture and required a splint. Carrie says she felt like a failure for not knowing more about trampoline safety and for putting her daughter at risk. Recent statistics from the Public Health Agency of Canada reported that there were 4,247 documented cases of trampoline injuries treated in emergency rooms across 15 hospitals between 2005–2006 and 2009–2010. As a parent who’s been through it, Carrie warns other parents about the dangers of trampolines. She suggests that the best ways to protect kids, teens and parents are education and information. 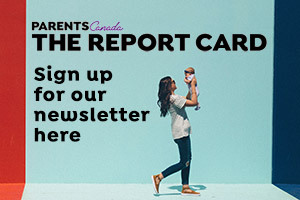 “Read up about the age requirements for children and trampolines, and really pay attention to the pros and cons,” says Carrie. While Mae’s accident was minor, it was serious enough for Carrie to know that trampolines aren’t all fun and games. Remove clothing from the injured limb by cutting clothing. Do not attempt to remove clothing by forcing arms out of shirts, for example. If possible, create a splint for the fractured area, keeping it in the “broken” position you found it. Do not allow your child to eat, in case surgery is required to repair the injury. Casts can become tight and uncomfortable due to swelling, so reduce swelling with ice. To keep the cast from becoming wet, put ice inside a sealed plastic bag and place a towel between the cast and the bag of ice. Place the ice on the cast, not on the skin. Try to keep the cast elevated, especially for the first 48 hours after the injury occurs. Elevation will help to decrease the swelling and pain. Always keep the cast clean and dry. Cover the cast with a plastic bag or wrap the cast when it comes time to bathe. Do not lean on or push on the cast. Do not put anything inside the cast. Do not try to scratch the skin under the cast with any sharp objects; it may break the skin under the cast and cause infection. Instead, blow air down the cast. Try using a hair dryer set on the lowest setting. 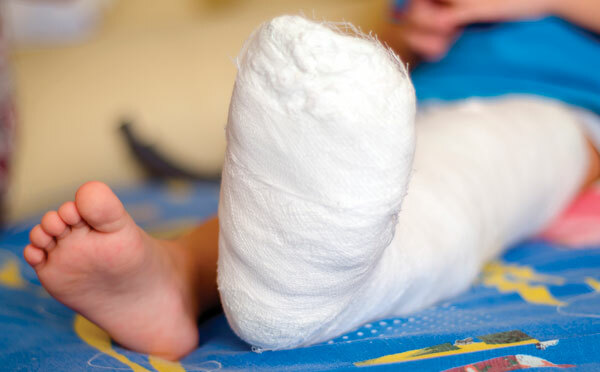 So your kid’s in a cast… now what? Bone up on your child's skeletal needs.